See what happened after Monday's WWE RAW went off the air. WWE has posted a video of what transpired after Monday’s Raw from Atlanta, GA went off the air. The show ended with a hot angle that saw the return of Batista, who attacked Ric Flair backstage and ruined his 70th birthday celebration. 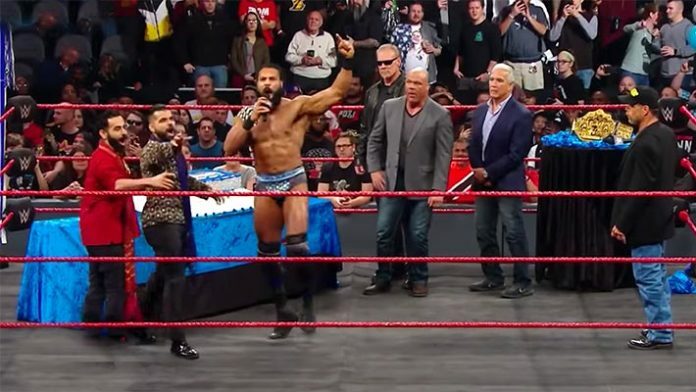 After Raw, Jinder Mahal and the Singh Brothers came out for a Punjabi celebration in honor of Ric Flair. They began dancing around before Shawn Michaels hit Jinder with Sweet Chin Music. Kurt Angle then gave him an Angle Slam through the birthday cake that was set up in the ring. The remaining three teams will be announced in the coming weeks.